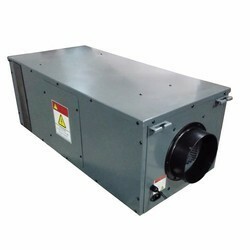 We Economy Heaters manufacturer of industrial hot air blower for multi function usages. our product also know name as : Hot air fan, hot air blower , industrial hot air blower, air heat blower unit, hot air blower for food industry, hot air blower for remove moisture, hot air blower for drying process. hot air drying application for production line. Our electric comfort heaters provide efficient, economical heat for commercial and industrial applications. Three basic types of heaters are convection, forced air and radiant, with combinations often used. They apply safe, clean, fast heat and their heavy-duty construction afford long, dependable service. Riding on unfathomable volumes of industrial expertise, we are offering an extensive range of HVAC Heaters. For the designing of these EEC heaters, we use finest quality of components and examine the same on several provisions of quality to make certain high performance of the end product. These EEC heaters are provided in different specifications according to the details provided by the clients. Offered EEC heaters can be taken at nominal rates. Our electric comfort heaters provide efficient, economical heat for commercial and industrial applications. Three basic types of heaters are convection, forced air and radiant, with combinations often used. They apply safe, clean, fast heat and their heavy-duty construction affords long, dependable service. Heavy duty fintube metal sheath heating element. 7.5, 15.0, & 30.0 KW heat outputs available. Voltages include 208, 240, 480 & 600. Fan only operation for summer cooling. Safe to operate in unattended areas. Heavy duty fin-tube metal sheath heating element. Innovation is our forte and we are engaged in manufacturing, supplying, exporting and trading Portable Spot Industrial Blower. Used in enclosed area with ceiling heights, these blowers are designed in accordance with the international quality standards to attain highest benchmarks of quality. 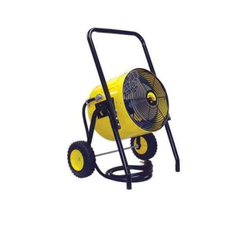 In addition, these blowers are applicable in building construction and curing plaster and concrete.